Are you looking for a uniform supplier that can cater to your teamwear needs? Lyon offers that and more with our vast range of Australian Rules Football gear including AFL tops, AFL shorts, AFL guernseys and jerseys, AFL singlets, tracksuits, training shirts and much more. 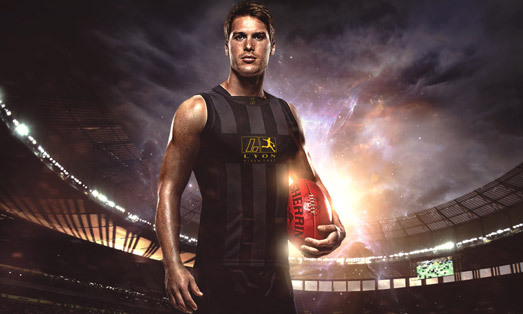 All of Lyon’s Aussie rules kit is produced by specialist designers with over 50 years’ experience that means we are simply the industry leaders when it comes to quality, value and style. We offer completely custom AFL gear of superior quality and affordable pricing. And even more importantly, the unbeatable quality of our AFL kit is more than matched by the service of our dedicated sales team. Lyon’s AFL garments come from our very own factories – that’s right, no middleman! Deal with Lyon and you deal direct with the supplier. It’s just another element of what we bring to the game. Greater levels of quality, customer service, professionalism, technology and value (sadly something still lacking in the majority of our competitors today, both large and small!). Lyon Sportswear puts performance above profit. It’s that simple. Born from a passion for creating innovative, high-quality, custom-designed Australian Rules Football teamwear since 1957. Since our inception 60 years ago, we have strived to and succeeded in being the absolute industry leader in custom AFL teamwear. To design and create quality custom football gear and team wear that is truly innovative and amazes our customers. Always act with integrity and honesty and strive to always provide our clients with the highest levels of customer service. Continue to lead the market when it comes to manufacturing stable high quality football gear – 365 days of the year. Continue to innovate and infuse creativity, quality and passion into our garments. We only hire the best in every area of our business. By instilling a company-wide winning ethos, that’s exactly what we do! We create stand-out custom AFL kit with individualised designs that incorporate only the latest fabrics, uniform cuts, themes and colour integration. 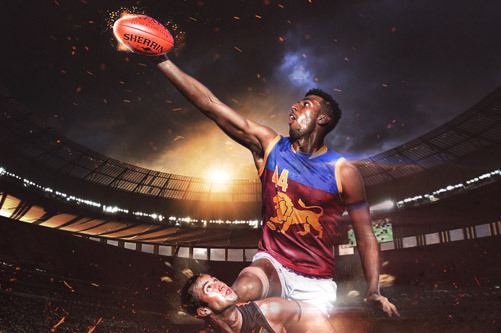 Lyon’s business and manufacturing footprint has been structured to deliver the fastest turnaround times in the Australian Rules Football Apparel Industry for both custom and non-custom garments. After reviewing an extensive list of manufacturing locations and supply chain models we have developed what we believe to be the most optimal and fastest supply chain model in the market place today. We have the ability to run our manufacturing operations 24/7 to ensure urgent AFL kit orders are manufactured in the quickest timeframe possible. 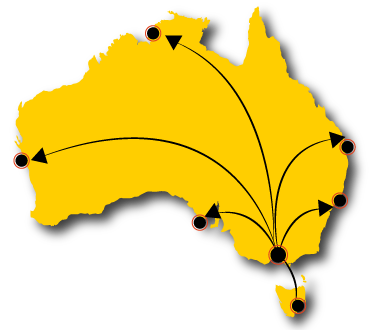 Our post system can reach all Australian capital cities within 24-36 hours with regional areas typically taking an additional 12-24 hours. Most of our competitors talk about quality – at Lyon Sportswear, we live it! How do we do this? We build quality into every step of our supply chain, end to end. Not only have we built ISO standards into our own business – we ensure that all our key interfacing suppliers and partners are accredited ISO companies. Deliver the highest level of excellence and value in the provision of custom AFL apparel and associated products and online technology that exceeds customer expectations. Build long-lasting relationships with our customers based on quality, honesty, integrity, satisfaction and personal attention. Undertake only those assignments which can be fulfilled to the complete satisfaction of the customer. Comply with our quality requirements and continually improve the effectiveness of the quality management system.